“So never lose an opportunity of urging a practical beginning, however small, for it is wonderful how often in such matters the mustard-seed germinates and roots itself.” ~ Florence Nightingale, English social reformer and statistician, and the founder of modern nursing. Over the last 16 years, I have been involved in developing and implementing social service programs – often known as “compassion ministries” in faith-based circles. For more than 20 years, I have traveled around the world to serve on short-term missions projects. Based on my experiences at home and abroad, I have begun to focus on more long-term, sustainable approaches to compassion ministries at home and abroad. I have come to believe that the best form of compassion is to give the gift of sustainability. Providing tools for an individual, a family, or a community to become self-sustaining and abundant is the best social service or community development program. 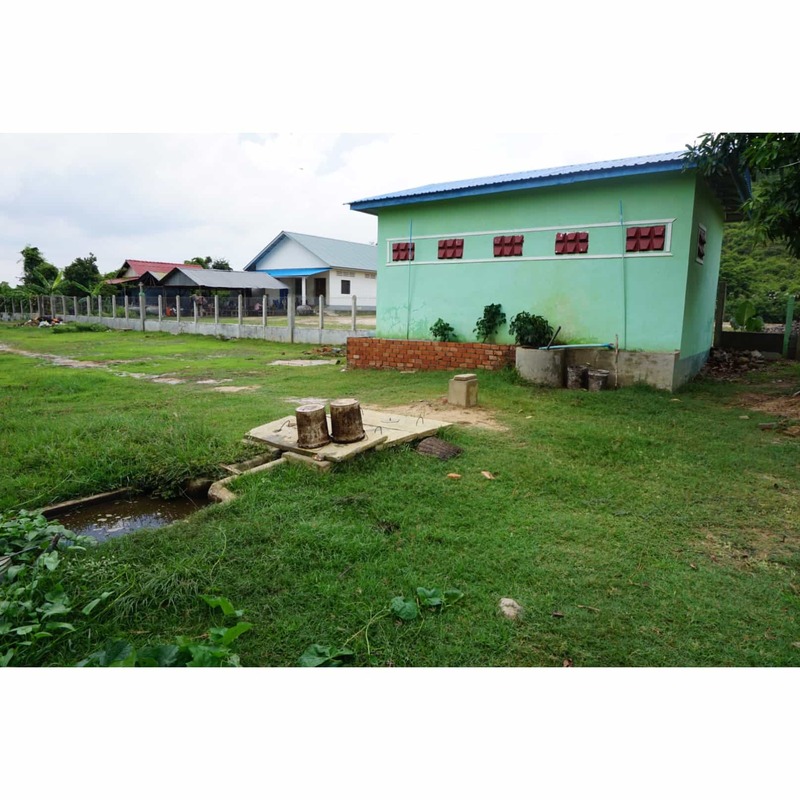 Sustainability has been an underlying principle in the mission projects ongoing in Cambodia. When I traveled to Cambodia for the first time in October 2013, I had no idea how that particular mission trip would impact my life. My introduction to Cambodia and the needs of women and children in that country catapulted me onto a path that continues to expand. 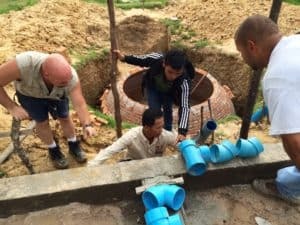 On my second mission trip to Cambodia in September 2014, our Trinity Cambodia Mission Team worked on an ambitious task list of projects including a biogas digester system for Teen Challenge Cambodia. These efforts were successful. I am pleased to report that the Teen Challenge Biogas Digester and Toiletry System was completed on schedule and on budget in November 2014. Teen Challenge Cambodia no longer has to rely on firewood for cooking. Their cooks now utilize methane gas generated in the biogas digester utilizing waste from their pigs and cows and the new toilet facility. When our team visited the site in August 2015, we found everything working effectively. 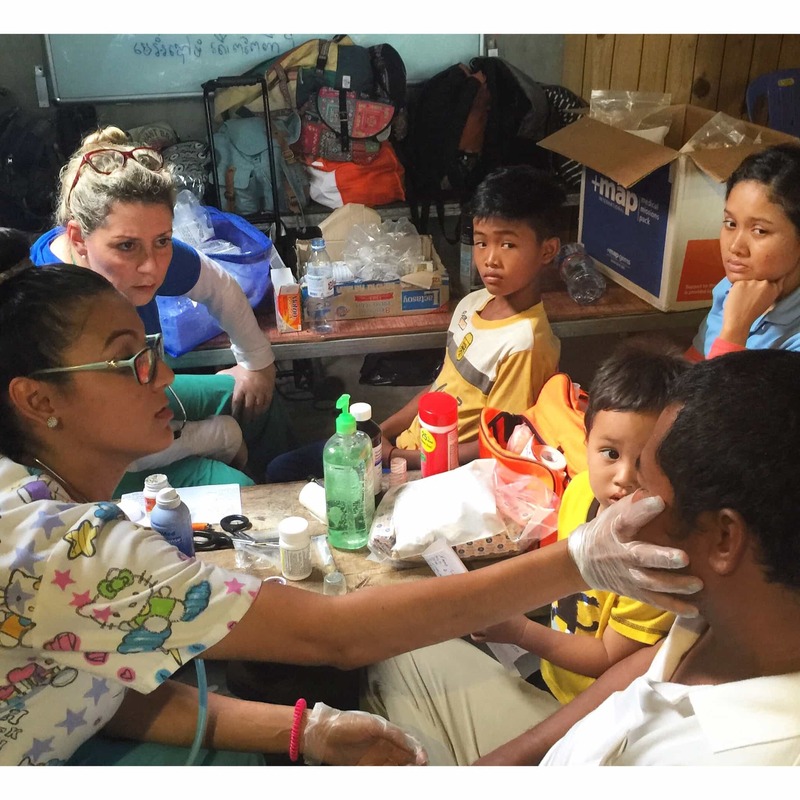 In addition to Teen Challenge, our mission teams have worked closely with Cambodian Care Ministries. Founders Koy Chiim (former Executive Director of Teen Challenge Cambodia) and his wife Reny Phoeurk established Cambodian Care as an NGO in Cambodia with a big vision. They envisioned opening schools for children who live in poverty with no opportunity to attend school. Their first school, Light of Future School #1, opened in November 2014 with 100 students. Since then, two additional Light of Future (LOF) schools have opened. Current combined enrollment of all three schools is now 512 students. In August 2015, our mission team conducted a mobile medical clinic at each of the three LOF School sites, serving 191 people. With the help of our translators, our medical team was able to create an intake form that was filled out as each person moved through the mobile clinic. When we returned to Miami, we used these intake forms to develop a simple database. Our intention is to utilize this database again in August 2016 when we conduct a second mobile medical clinic at these LOF school sites. We were blessed to begin a partnership with MAP International on this trip. All of the medications we used were provided by MAP. Although it was a new partnership for us, MAP has provided more than $5 billion dollars in medical supplies for disaster relief efforts and medical outreaches around the world in the last 60 years. We would not have been able to accomplish all that we did last August without this strategic partnership. A few days ago, I had the privilege of sharing our experiences using these medical supplies with Steve Stirling, CEO of MAP, and Deborah Lareau, MAP’s Director of Philanthropy. I also shared with them our team’s desire to develop the mobile medical clinic into a sustainable community medical clinic for LOF schoolchildren and their local communities. We have realized that in order for the schoolchildren to be able to succeed in school, they must be in good health. One common issue our nurses encountered in the schoolchildren were foot injuries, infections, and other problems related to walking barefoot in communities lacking proper sanitation. 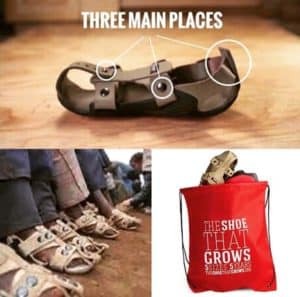 For our 2016 mission trip, our team has selected the innovative The Shoe That Grows as a practical solution to this problem. Our intention is to provide each LOF student with a pair of these shoes that can grow with them for five shoe sizes. Estimating for an increase in LOF 2016-2017 school enrollment, we have proposed to take 600 pair of shoes along with us in August 2016. At $15 per shoe, we need to raise $9,000.00. To date, we have raised $5,540.00. In a subsequent article, I will be sharing more information and project plans for the August 2016 Cambodia Mission Trip. Thank you for your obedience to the call of God to help children and families in Cambodia, Dominican Republic and other parts of the world.